Place in a shaker Μ DRY MASTIHA, ice, lemon & orange juice, Jack Daniel’s and tea syrup, and shake well. Strain and serve in a double old- fashioned glass. Garnish with orange peel, a slice of lemon, mint and tea leaves. Μ DRY MASTIHA and bourbon laced with tea syrup and tangy citrus fruits. Sophisticated and cool! Place two slices of green apple in a shaker and muddle. Add Μ DRY MASTIHA, lime juice, honey, ice, and shake well. Double strain, and serve in an old-fashioned glass. 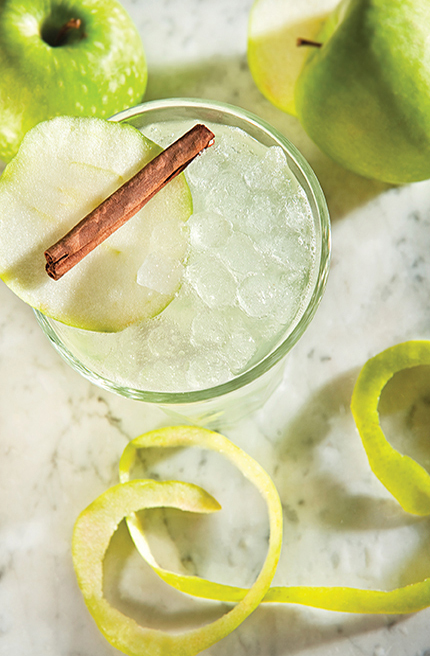 Garnish with the remaining slice of green apple and cinnamon stick. 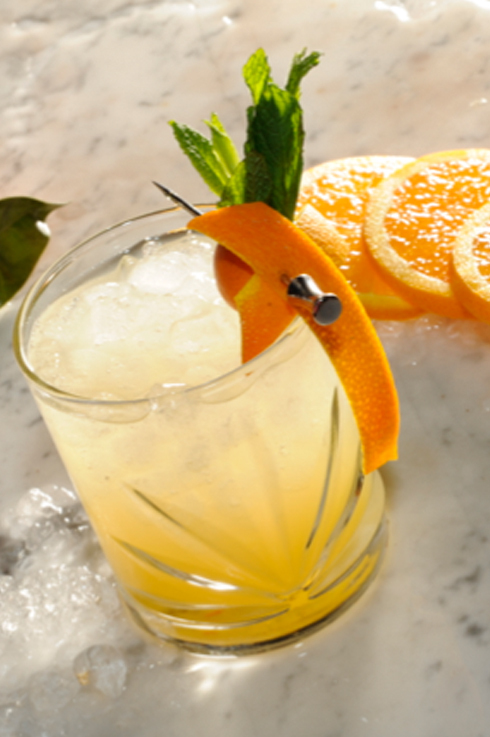 A classic sour with a Mediterranean twist. Beauty through simplicity! 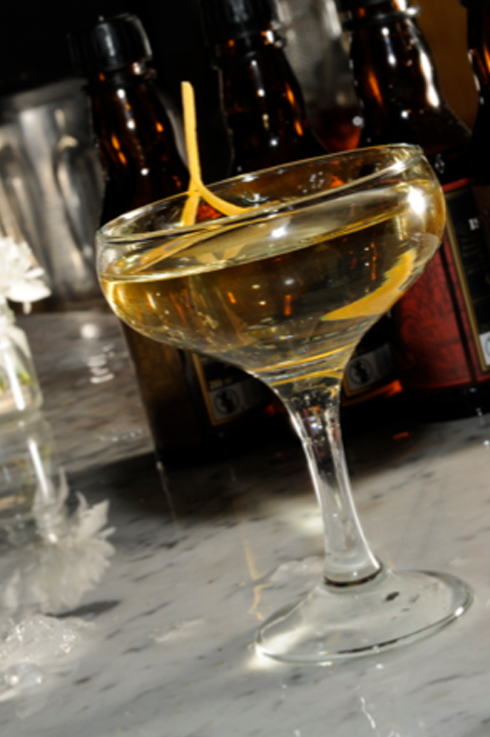 Place in a double old-fashioned glass, crushed ice, Μ DRY MASTIHA, Finlandia Vodka and lemon juice, and stir. Gently add the Chambord, allowing it to slowly disperse, creating a mysterious, swirling, red effect. A different take on bramble. An intense but finely balanced cocktail in which Μ DRY MASTIHA harmonizes the different aromas of berries, vanilla and cognac contained in the Chambord! 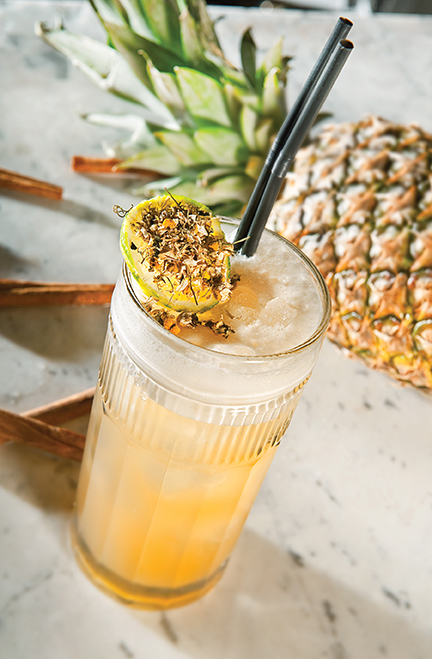 Place in a shaker Μ DRY MASTIHA, ice, Jack Daniel’s, lime & pineapple juice, cinnamon syrup, and shake well. 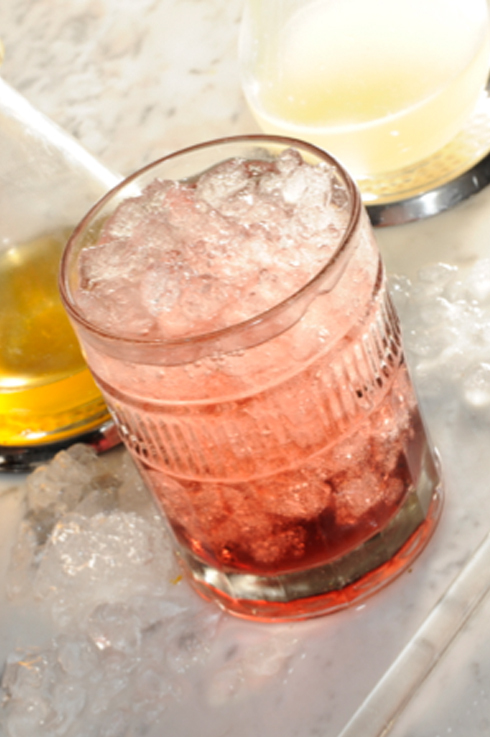 Strain and serve in a highball glass. Garnish with a slice of lemon and chamomile. A brash and playful cocktail that pokes fun at tiki culture and is appropriate for any occasion! Place ice and Μ DRY MASTIHA, in a Mixing glass. Add the remaining ingredients, and stir. Strain into a frozen coupe glass. Rub and garnish with orange peel. 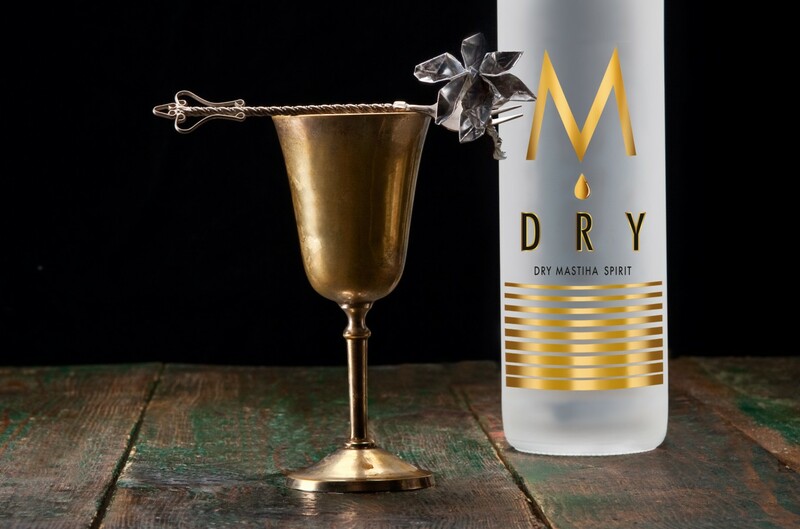 The lush aromas of lemon peels and rose petals, the freshness and acidity of Moschofilero -and the special bouquet of M Dry Mastiha- combine to create a unique aperitif that can be enjoyed at any time!